This is one group I got to see some of on some videotapes I got which were taped from Japanese television. The girls have some kind of a program which didn't impress me very much. They did very little singing and what there was of it wasn't that good. Still, I decided to take a chance and got their Jet CD CD. Good idea. I really love their music! It's kind of all over the place as far as styles go. There's some soft jazz on the CD and at the same time there are songs which have an overall sound and feel to them of the Beatles, if the Beatles had all been girls and Japanese, of course. So far I've only gotten the one CD of theirs but I'm sending for me. They have slightly hard-edged voices, loud and with great guitar playing in the background. Puffy has sold over 14 million albums in five years. 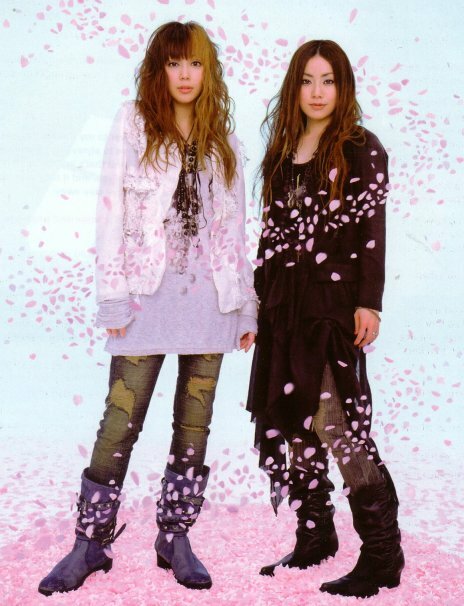 The singers names are Yumi Yoshimura and Ami Onuki.